Thank you for your site. After months of trying to sell my piano on my own, in less than two weeks, someone very nice and a good musician, bought it. Extremely happy! Our family owned business has been serving the local and long distance moving needs of our customers in the Cincinnati, Dayton and Columbus areas of Ohio since 1955. So whether your move is across town or across the country, we look forward to offering you the best in keyboard instrument transportation. Located in Fort Myers, FL, we are not only a premier moving company, we also specialize in moving pianos. Whether it is a spinet, upright, baby grand, or concert grand our movers will do your piano justice. Our first rate services include quilt pad wrapping and full white-glove service at its finest. Leave the house as-is and All My Sons will pack and move all of your belongings including your piano. Professional Piano Moving And Piano Storage Company. Over 10 years of experience in moving pianos and organs in Greater Boston Area, MA,NH,CT,ME,RI,VT, with regular trips to New York City, Upstate NY , PA and NJ. Fully Insured. Professional Piano Movers Serving our Customers for 30 Years. From Maine to Florida and All Points in Between. Moving, Storage, and Hoisting. Give us a call. Moving pianos with ease. “We Love Pianos”! Based in Ithaca, NY. Local and long distance moving. Serving New York State and the upper to mid East Coast. Reasonable rates and dependable service. Door to door service. South Florida based profesional piano company. Affordable Local and Nationwide moving services. Piano rental and storage also available. Located in Danville KY, we offer local as well as long distance moving of grand and vertical pianos. Into our third generation of high quality piano service we offer safe, expert white glove service. Commercial or private. Your instrument is fully insured. Climate controlled short and long term storage available. Modern Piano Moving, in business since 1935, offers full-service door-to-door piano and organ moving. We perform long-distance piano moves anywhere in the lower 48 states and can arrange for moves to Hawaii, Alaska, Canada and more! Move 4 Less is a full service local Las Vegas Moving Company. We help with commercial and residential moves including pianos. We service Clark County including Las Vegas and Henderson Nevada. Mt. Auburn Movers is a family owned piano moving and rigging company serving New England for over 30 years. Fully licensed and insured. Local and long distance moving. Reasonable rates. Piano Transporting Specialist. Transporting pianos from manufacturers to dealers. Local and long-distance piano relocation for the general public. Crating of pianos for overseas delivery. Piano storage in one of our regional warehouses. Nationwide piano pick-up and delivery. Based in Mechanicville, NY. Serving the upper East Coast area. Boston to Buffalo; Maine to D.C. Fully Insured. Local and Long Distance. Storage Available. We service daily, the southern PA and Northern MD areas including DC and VA as well. We also can service monthly the east cost and nationwide could be arranged as well. We are a licensed and insured full service moving company which specializes in moving pianos. We are equipped to move grands, organs, and uprights. We also offer hoisting and craning services for hard to reach removals and placements. 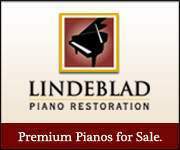 40 plus years serving the piano trade nationwide. Now offering piano moving services to East Coast homeowners in NY, CT, NJ, MA and PA and also nationwide. We have shipped for most of the high-end Steinway rebuilders on the East Coast as well as most music universities. Have us care for your piano like it’s ours! Always in your area. Walter Piano Transport is a family based company that specializes in transporting pianos, organs and other musical instruments nationwide. We offer door to door professional moving. The safe handling and moving of musical instruments is our business.